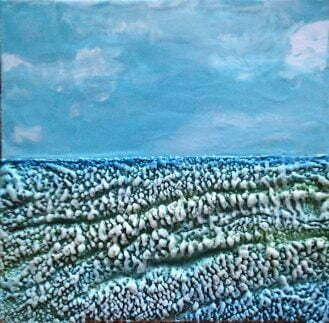 Some of my encaustic paintings this past year are very textured. 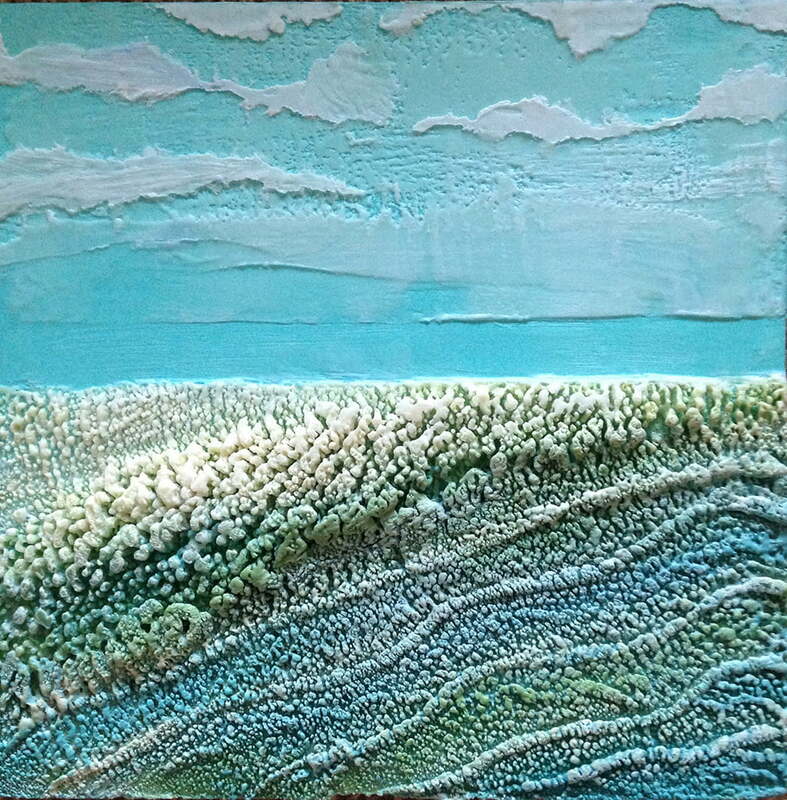 I’ve been playing with building up layer upon layer of encaustic medium using a dry brush accretion technique. 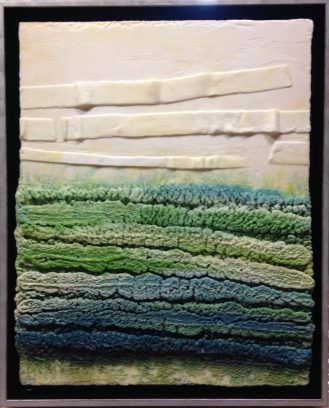 Taken far enough, accretion can become encaustic sculpture. 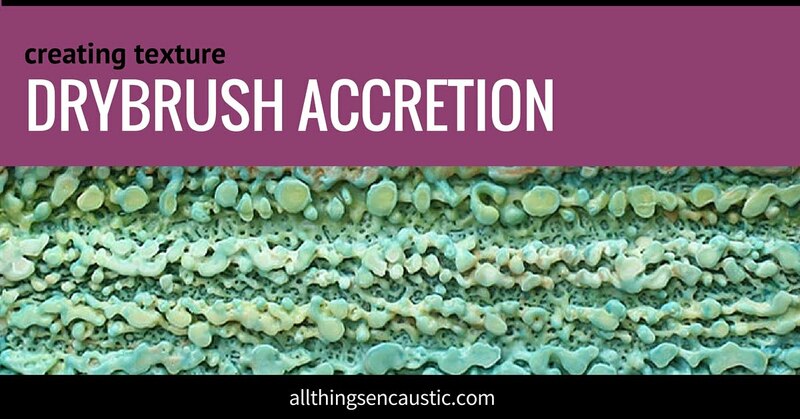 The word accretion perfectly describes the process. ac·cre·tion – əˈkrēSH(ə)n noun the process of growth or increase, typically by the gradual accumulation of additional layers or matter. The key to this technique is a very dry brush and fusing gently. I find that the embossing heat tool is essential. begin with a base of a few layers of encaustic medium that have been fused. It is fine to fuse with the blowtorch at this stage. fuse gently with a low-temperature embossing heat gun. Be careful not to liquefy the medium. Fuse lightly, the encaustic wax will glisten and that is enough. repeat steps 3 to 5 over and over again as you build up layers of texture. 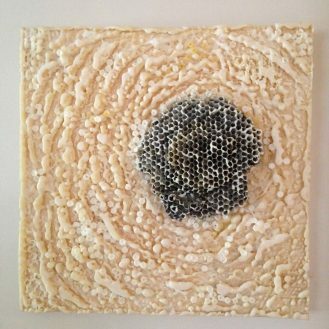 Here are some of my paintings that show the encaustic accretion technique. Click to view larger. 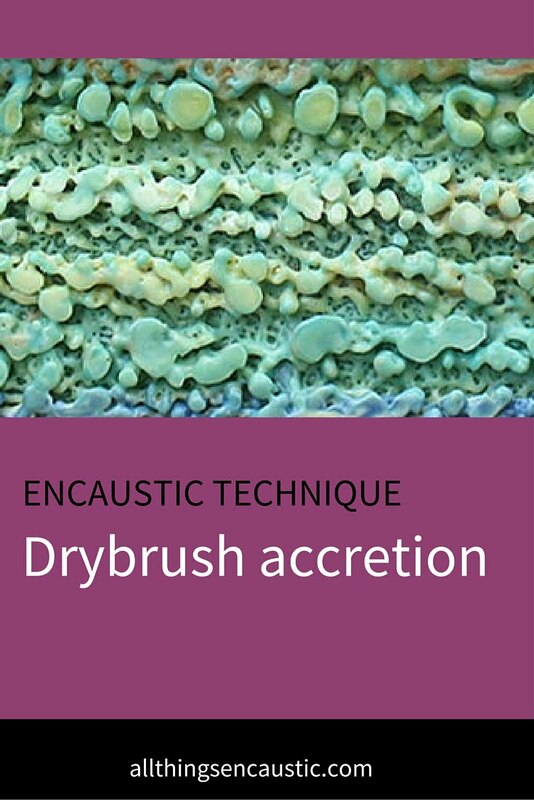 Have you tried the dry brush accretion technique? Give it a try and leave me a comment to let me know how it goes. Hi Ruth, I am Jess. 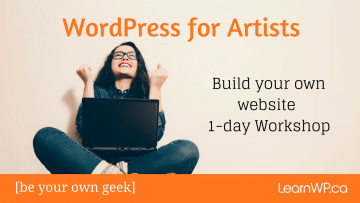 I love your site and advice. 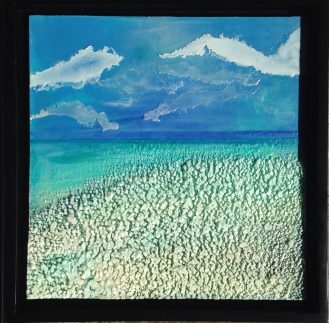 I am new to encaustic and am diving in daily following this idea and that, learning every single step of the way. I blog my art and heart journey over at my wordpress site…www.jesssplatter.wordpress.com. I found you on twitter. I am there also. @Jesssplatter. Have a great day! Thanks for stopping by and for the follow. I’m glad you are finding the site helpful. I also love texture so really like what you are doing. I often use an eye dropper to create texture in patterns. Oh an eye dropper that sounds interesting. 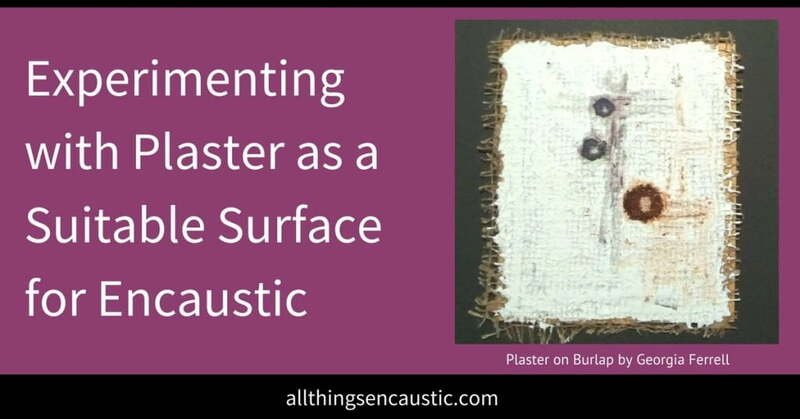 Don’t you just love how versatile encaustic is? There are so many things that you can try! How does the wax remain hot in the eye dropper? Hi Bela, I haven’t used one yet, this is my understanding of how it works. 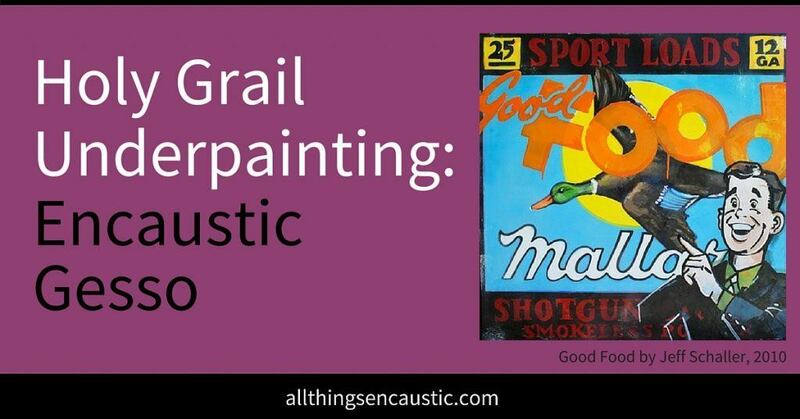 The eyedropper to use with encaustic is a metal one that will stay hotter longer. You can rest the end of the metal dropper right in your tin of melted paint so that the paint stays fluid inside. I love the different tactile textures. Fascinating and beautiful work. I really appreciate the information on texture!! I accidentally created some lovely texture on a series of pieces a while ago, and have since been trying to re-create the effect. I will try the fork, dry brush, AND the dropper, and let you know how it all goes. I love this blog!! 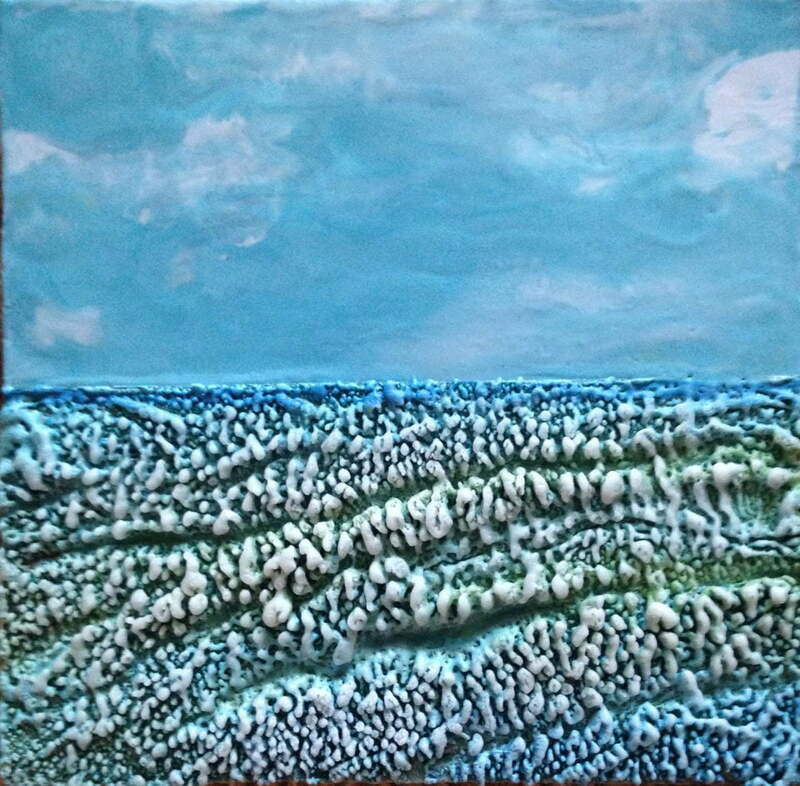 Encaustic is my new love. Getting a smooth surface is a struggle for me so finding techniques for texture is perfect! Love the information. Thank you so much. My first hobby is wood turning but I got interested in encaustic several years ago. 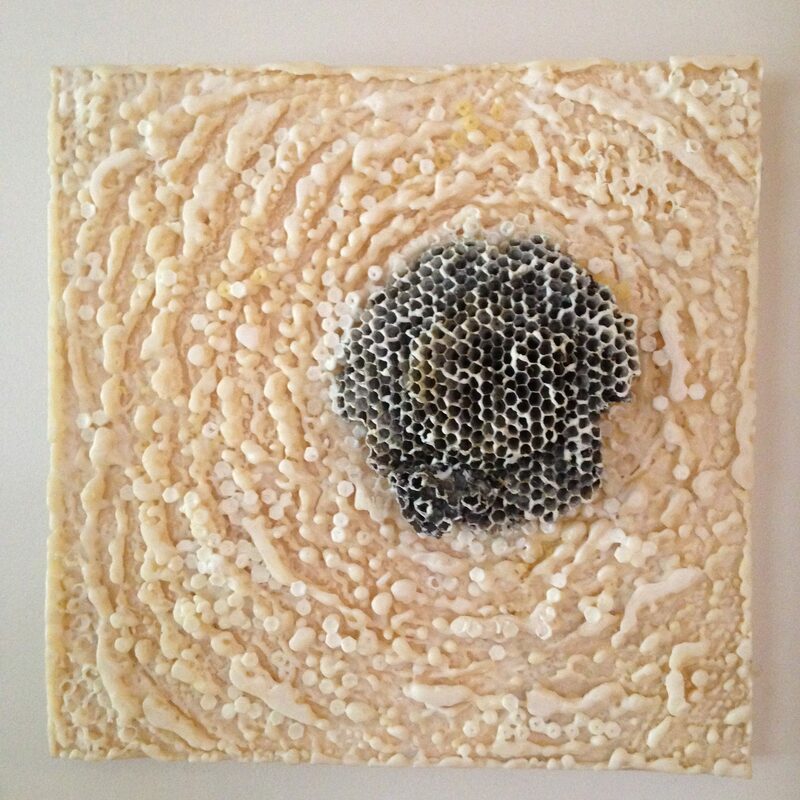 I recently did a textured piece by putting down several layers of encaustic, covering the piece with wood shavings from the lathe, fusing the shavings into the encaustic base and then adding layers of encaustic paint over the textured surface. Its a really fast way to build up texture. Next I want to try the same technique on one of my wood turnings. Thanks for sharing your technique Roy! The texture pictures always get me! I managed to so a little bit today, took all day! Oh man, love it!! I’ve been wanting to practice building up texture. Thank you for this! 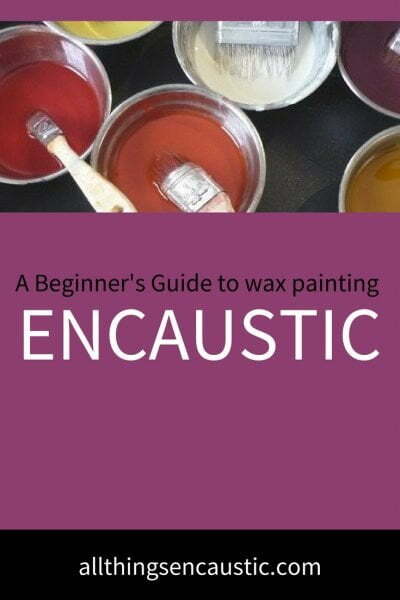 Hi I have been using encuastic wax for about 20yrs. I have never tried layering , but now! i mainly do mystic type art. 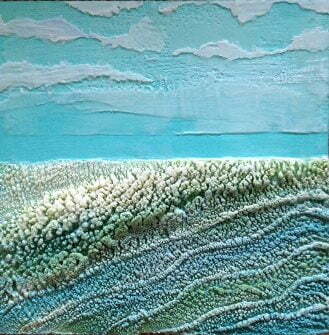 I am inlove with encaustic art, i’ve been practicing it for almost 2 years. I keep experimenting all the time. I have been using texture technique for years. I always liked this kind of texture but could not find the how-to anywhere, so I came up with this: I use a stencil that has small shapes, fuse it gently onto a couple of layers of encaustic paint (not medium, which I hardly ever use), and then start dry brushing. I will gently fuse occasionally, not always. I will try creating lines, using a fork, etc. Can’t see how the wax would remain hot inside an eye dropper, though…. Love your work do you ever use utube? Attempting this now. I used a net wine sleeve to start the texture. Hope i end up liking where it is going. Thinking it would have been better if the holes had been smaller! Thanks for all these tips & tutorials!